Teachers For Social Justice: TSJ ItAG Cycle Ends with a Bang! TSJ ItAG Cycle Ends with a Bang! On Saturday March 12, TSJ held an event to mark the end of our second cycle of Inquiry to Action Groups (ItAGs). Held at Marwen, this event served as the finale for an eight-week session of ItAGs, groups that met to study a topic together and plan action addressing the issues uncovered through their learning. TSJ adopted the ItAG structure from our partners in New York City, NYCORE, who developed this condensed model of reflection and action as a way to make study groups more accessible to teachers and more relevant to the communities where we work. This was the second year TSJ has held ItAGs, propelled by the effectiveness of last year’s cycle which included 5 groups. This year’s four groups were LGBTQIA/Queer issues in education, ESL/ELL and Popular Education, the Chicago Grassroots Curriculum Task Force, and Media Literacy. The LGBTQIA/Queer issues in education group had several actions including a list of recommendations for TSJ to make queer issues and visibility more present in our work. They also are supporting a screening of the film This Is Reteaching Gender and Sexuality followed by a discussion with the filmmakers on April 27 at 6:30 p.m. (Location TBA). The ESL/ELL and Popular Education group is creating “codes,” curricular materials modeled after those used in literacy campaigns in Latin America that were rooted in Paolo Freire’s theories. These codes are designed to incite critical conversations within a political framework as a vehicle for language learning. In addition, the group is in conversation with Casa Juan Diego, a youth center in Pilsen, about ways to support them in incorporating popular education into their approach. The Chicago Grassroots Curriculum Task Force is creating a curriculum about the history of education and education-related struggles in Chicago. 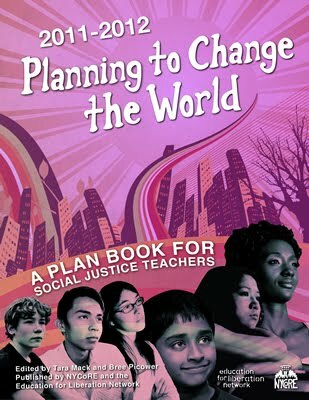 It will be available on the web database of social justice-related curricula currently being compiled by the Chicago Grassroots Curriculum Task force (an organization independent of this ItAG currently creating and documenting radical curricula). Finally, the Media Literacy ItAG is creating curriculum to support people developing a critical consciousness as media consumers. Their curricula covers issues related to media and identity, social media, politics and media, and advertising. TSJ Inquire to Action Group Finale!